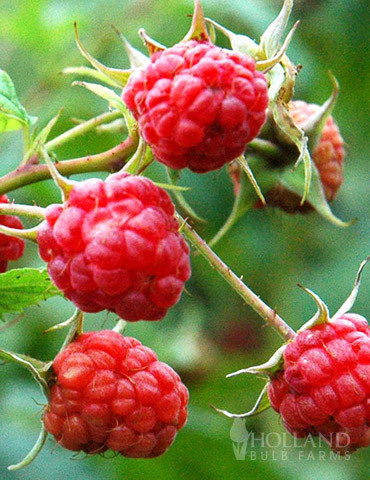 Actually a cross between a purple and a red raspberry, the Royalty Raspberry produces some of the largest raspberries. Its large, reddish fruits are sweet and very flavorful when eaten fresh and are excellent for jams and jellies.. This plant also tends to be extremely productive and vigorous in its growth.